August 21, 2015 in Archadeck St. Louis, Deck Railings, Deck Stairs, Decks | Tags: deck builders St. Louis, deck inspection St. Louis, deck safety, deck safety inspections St. Louis Mo, does my deck need replacement?, how to inspect my deck for safety?, is my deck safe? Do you sometimes wonder about deck safety? Well, you probably should. It’s a real issue. According to NADRA (North American Deck and Rail Association) the number of failed and fallen decks has increased. Why? The reason is simple. A simple, seven-point inspection plan will help you spot trouble. Use this acronym – BE SAFER (Boards, Every Connection, Structure, Attachment, Footings, Exists, Rails) for a DIY deck-check. Look at the condition of your deck boards. Most wood will show minor cracks and splits over time. But is the general condition of the boards good or are the boards splintering and unsafe to walk on? A variety of fasteners and metal hardware connectors should provide adequate stability and safety. But are the fasteners and hardware appropriate? Look at the condition. Do any need to be replaced? 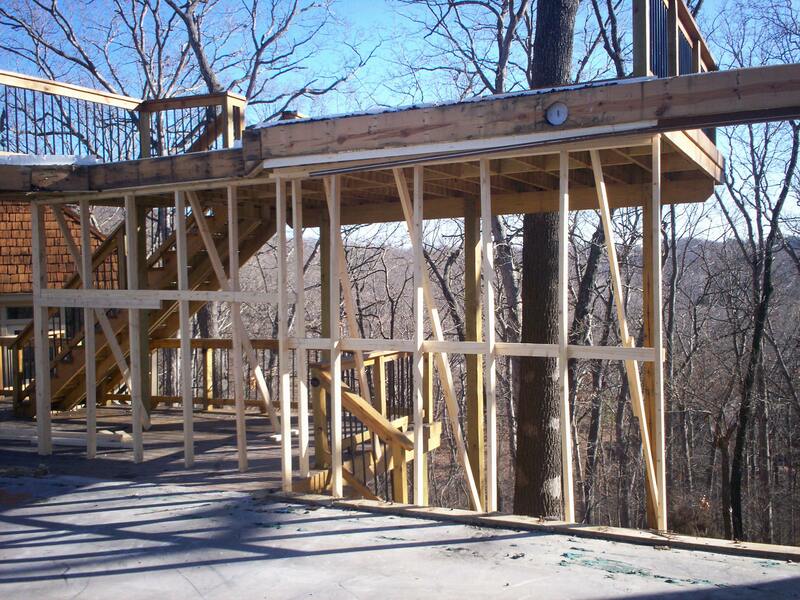 Inspect the joists, beams and posts that provide the deck’s structural framework. What is their condition? Is there noticeable sagging between supports? 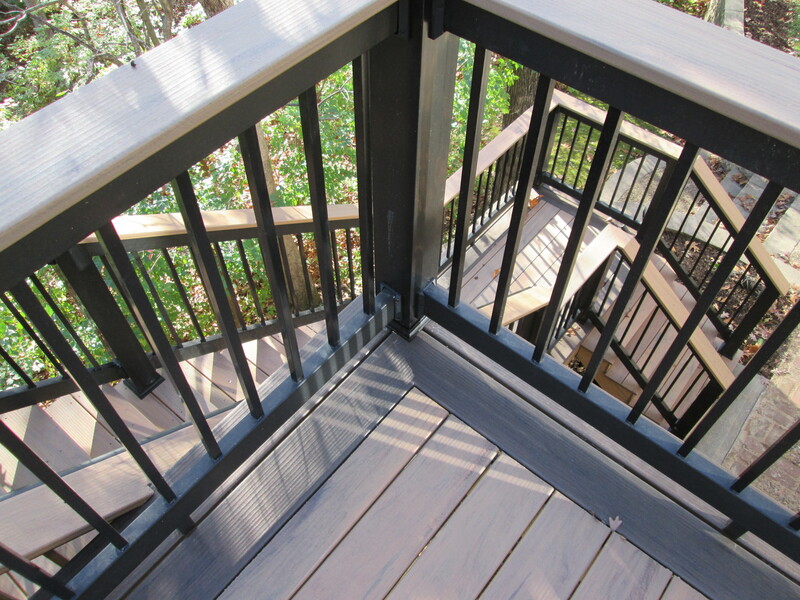 Most deck failures occur at the house band — where the deck attaches to the home. Pay special attention to this area. Look for appropriate screws, bolts and flashing. Nails should never be used for this type of attachment. The footings support the weight on a deck and the columns that bear on them. A footing that is sinking may cause a noticeable sag in a deck area or a column that’s separating from a beam. Next, check-out the areas where people exit from the deck. These exits usually involve stairs so be sure to audit the condition of materials used on the stair stringers, stair treads and step risers. Examine rail posts and sections of deck railing to make sure they are secure. Are the pickets fastened securely and spaced no more than a few inches apart? If you’d prefer to consult with a pro about your existing deck, contact a reputable deck contractor such as Archadeck. In St. Louis, Missouri call us anytime — Archadeck of West County and St. Charles County — 636-227-0800. Outside of Greater St. Louis call 888-687-3325 for an Archadeck owner and office in your hometown or visit archadeck.com. Want more information about outdoor living? To find inspiration for decks and other outdoor spaces, visit west-county.archadeck.com to see picture galleries, an online inquiry form (how can we help?) or a free download for Archadeck’s design guide. Find us on Pinterest, Google+ and Houzz too! Not familiar with the Archadeck brand, see the About Us page right here on the blog! Can My Deck Be Repaired or Should It Be Replaced?